Timber may be a one of steel’s competitors for the housing market, but did you know that you could find our steel in wooden houses? Thanks to the screws produced by the company Schmid Schrauben Hainfeld GmbH, our steel wire rod produced by ArcelorMittal Hamburg is used in wooden houses all over Europe and in Canada and Japan. Schmid Schrauben, which celebrates its 176th anniversary this year, is one of the leading manufacturers of screws in Europe. It produces the highest quality of screws, in different sizes, lengths and diameters for timber construction. In its drawing shop, located 60 km southwest from Vienna, about 4 million screws are produced every day; that's about 40 tonnes a day. Schmid Schrauben has found a partner in ArcelorMittal Hamburg who very well understands their needs. "Our contacts in Hamburg take us seriously as customers and we work well together." says Managing Director Andreas Gebert. "It is particularly important that we have a good ear for our suggestions and that together we can optimise the wire that we need for different applications over and over again." Schmid Schrauben therefore also gives us the necessary product data for the calculation software for the screws. "We do not just buy any steel from a catalogue. The used steel must have no errors. If the wire is not quite round, or the surface has cracks or inclusions, it rips in production. And in the worst case, the tool will be destroyed as well. This generates costs and long downtimes. Perfect quality is extremely important to us." Specifically, this means that the Schmid Schrauben screws, for example, can absorb very high tensile forces. "Structural engineers who plan with our screws know that they can do so with a need of less screws. The work is therefore faster and the construction becomes easier." 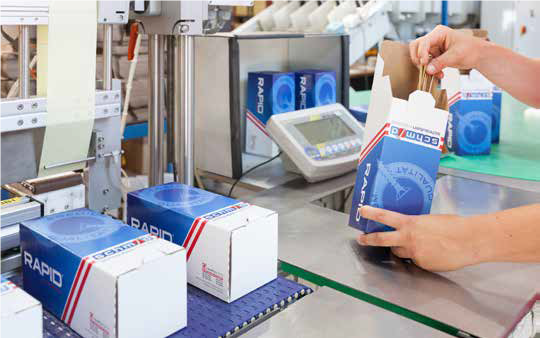 In addition, logistics also plays a major role for Schmid Schrauben who is dependent on absolute delivery reliability. The company is also working hard to continue to grow with innovative products. New products such as hardwood screws are now available and special screws for earthquake application are under development. For ArcelorMittal Hamburg there are further perspectives: "Together, we are on the right path and will multiply the volumes", concludes Andreas Gebert, optimistic about our joint future. Schmid Schrauben buys wire rod from ArcelorMittal Hamburg that is converted into the exact diameter required for the desired screw. Thereafter, the wire is annealed, ensuring that it is deformable. The high-end presses make it possible to produce a wide range of screws not only in a precise quality, but also – thanks to the high level of vertical integration – at economic costs. During the last step, in their modern rolling mill, the thread is then rolled onto the screw. 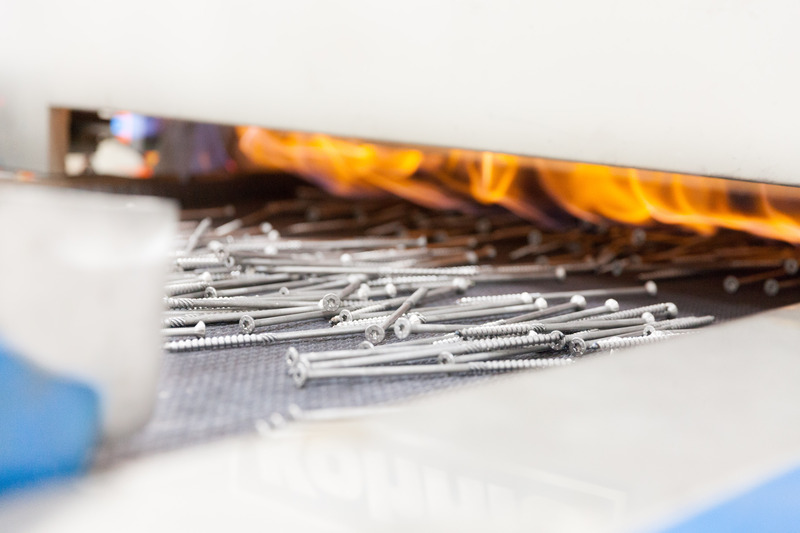 Before the screws are packed and shipped, they are hardened in the heat treatment plant in a special gas atmosphere, then coated to protect them from corrosion. Founded in 1842, the company Schmid Schrauben Hainfeld GmbH is since 2004 part of the German Würth Group. Each day, the company delivers screws to international customers in the areas of industry, whole sale and home improvement stores. Schmid Schrauben’s screws are in demand in many parts of the world. In addition to the core markets of Austria, Eastern Europe, Germany, Italy and Switzerland, the company also serves France, England, Japan, and Canada. It also focuses on the future with million Euros investments in production technology and know-how.